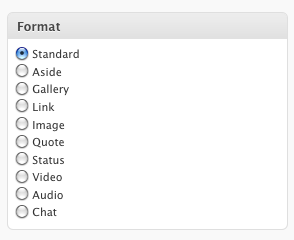 What are the new features in WordPress 3.1? Many of you have read the WP 3.1 release and some have upgraded but don’t know what the big fuss is about. 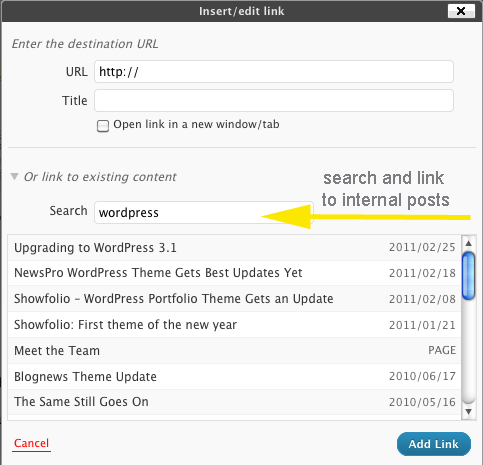 Let’s go over some of the really neat features introduced in WordPress 3.1.
link – A link to another site. Themes may wish to use the first <a href= tag in the post content as the external link for that post. An alternative approach could be if the post consists only of a URL, then that will be the URL and the title (post_title) will be the name attached to the anchor for it. This is a great enhancement which lets you access all the most used functions in the dashboard. The administration bar gives you one-click access to adding new posts or pages, to Menus, or to your comments. I’m already using it quite extensively, and you’ll certainly find it speeds up publishing of posts and basic administration of site content. The average user will not care much about this, but advanced taxonomies will allow greater flexibility to developers for running complex queries using custom fields, tags, or any combination of data points. The team at WordPress.org did a fantastic job on this release. We congratulate them on the accomplishment and look forward to what they have in store for WP 3.2. Until then, there are several more great features not discussed here and you can read about them over at the WordPress Codex. In the meantime, we at Gabfire Themes will be thinking up creative ways to incorporate these features into future themes. 2 Responses to "WordPress 3.1 Features"
to the most current version of WP, I do it. I very rarely look to see what it includes. Thanks for pointing out all of the new innovations to WP. Lovely Stuff from you and WordPress as well. Thanks for the sharing.